Dry-erase markers, coupons, puzzle pieces, and chocolates . . .
Are you looking for ways to connect with your husband? 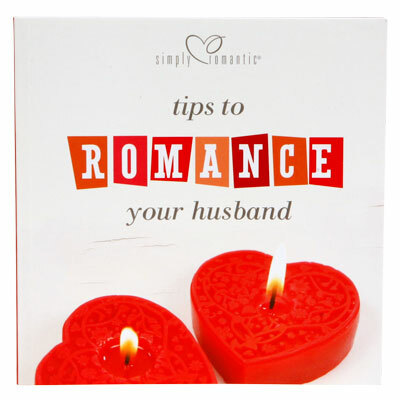 Tips to Romance Your Husband is filled with creative ways to let him know you desire him. Inside you will find new ideas to have fun together, ways to give unforgettable gifts, and how to communicate heart-to-heart. Add romance to birthdays and holidays with these innovative tips that utilize chocolate, puzzle pieces, Post-it notes and more.